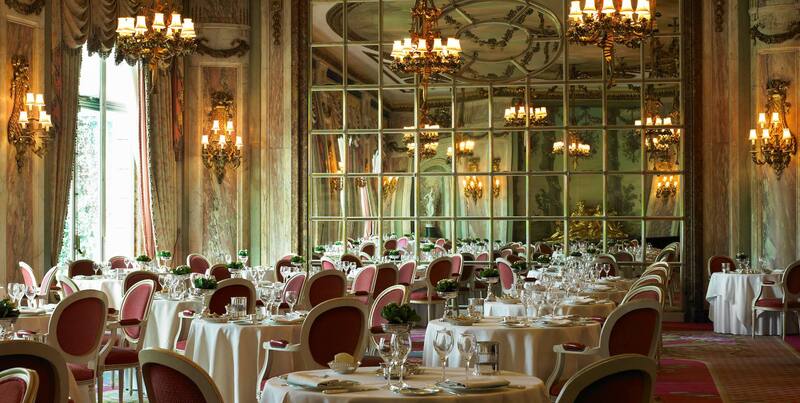 A fabulous evening of dinner and dancing in the Michelin-starred Ritz Restaurant. 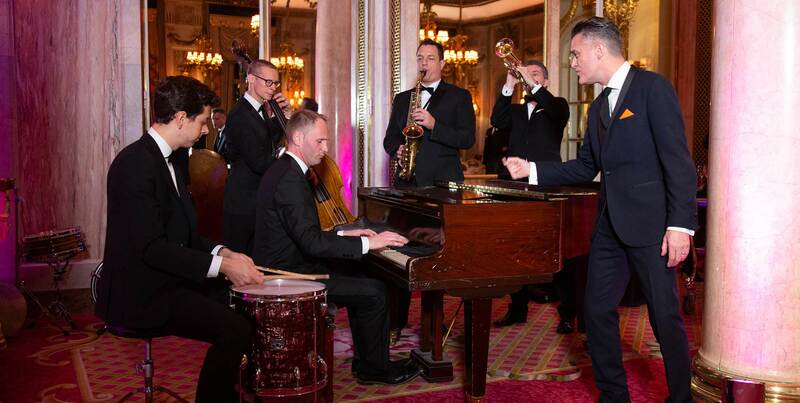 Every Friday and Saturday evening, the Michelin-starred Ritz Restaurant, widely considered to be one of the most beautiful dining rooms in the world brings you ‘Live at The Ritz’, a fabulous evening of dinner and dancing. The Ritz Restaurant is one of the few venues in the city to offer a classic combination of fine dining and live entertainment. Dinner and Dance has clearly not lost any of its charm but if you do not bring your dancing shoes along then no problem, simply sit back, relax over a cocktail, listen to the music and enjoy your sumptuous candlelight dinner. ‘Live at The Ritz’ is a set four-course dinner menu with live entertainment and dancing, priced from £110 per person on Fridays and £125 per person on Saturdays. An a la carte menu is also available, however there will be an additional entertainment charge of £35 per person. New for 2019, we are proud to introduce The London Dance Orchestra’s weekly residency every Friday night at Live at The Ritz .Under the direction of acclaimed Musical Director Robin Harris, The London Dance Orchestra is one of the UK’s most respected swing dance bands, entertaining audiences with an imaginative interpretation of the American Songbook and masterful recreations of the epic sounds from the big band era. 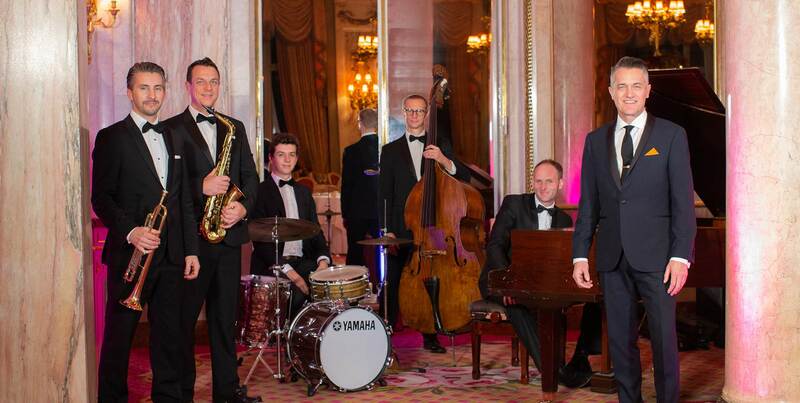 Renowned vocalist Iain Mackenzie (the principal vocalist at Ronnie Scott’s) will be singing most Friday evenings in our Michelin-starred Ritz Restaurant, accompanied by a swinging rhythm section and horn frontline. The London Dance Orchestra formed in 2012 and were quickly acknowledged for their ability to execute a style of rhythmic playing which supported the dancers on the floor and has kept the band highly in demand ever since. The musicians have performed with an exceptional selection of talented artists including Van Morrison, Tom Jones, Emeli Sandé, Jools Holland, Bryan Ferry, Paloma Faith and more. The five-piece band with Peter O’Donnell will entertain you with a selection of songs straight out of the American Songbook. Tap your toes along to swing favourites from the Rat Pack and Cole Porter. During the second set, there is contemporary music, guaranteed to get everyone up on the dance floor! There will also be professional fabulous dancers performing the Tango, the Rumba and Salsa. Please note, occasionally there will be alternative live entertainment and on these occasions, there will be no professional dancers. In December, the a la carte menu will not be available for ‘Live at The Ritz’.